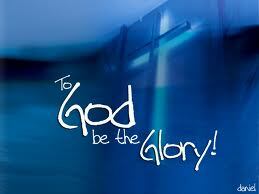 How Do We Live for God’s Glory? We glorify God in a high degree when we suffer for God, and seal the gospel with our blood. In how many ways are you glorifying God? Which can you work to improve upon? If you want to learn more you can read the explanation of each in Watson’s answer to the question What Is the Chief End of Man? See also How to Glorify God: Four Ways and and John MacArthur’s sermon How to Glorify God. This entry was posted in Discipleship and tagged how do we honor God, living for God. Bookmark the permalink. 2 Responses to How Do We Live for God’s Glory?